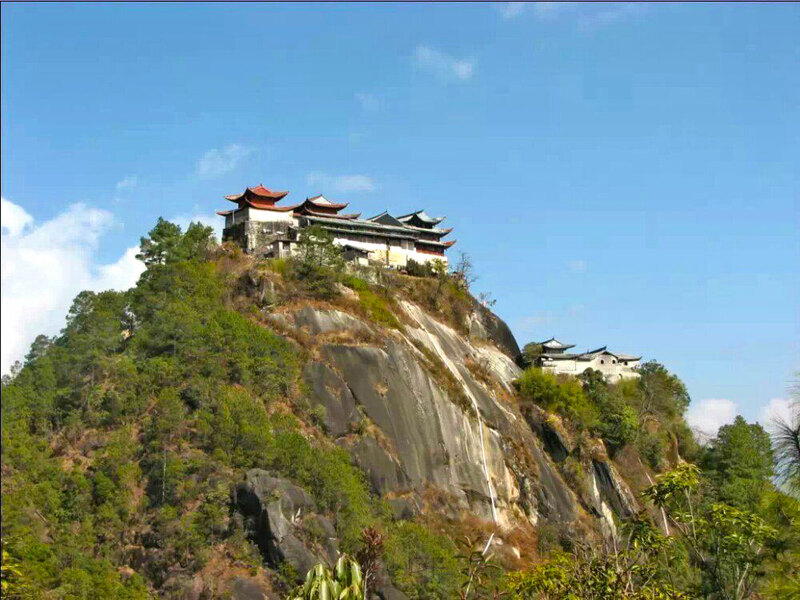 2 The Yunfeng Mountain (云峰山) lies in Ruidian Township 50 kilometers northwest to Tengchong. From a distance, it looks like a bamboo shoot pointing to the sky. The Yunfeng Mountain (云峰山) lies in Ruidian Township 50 kilometers northwest to Tengchong. From a distance, it looks like a bamboo shoot pointing to the sky. 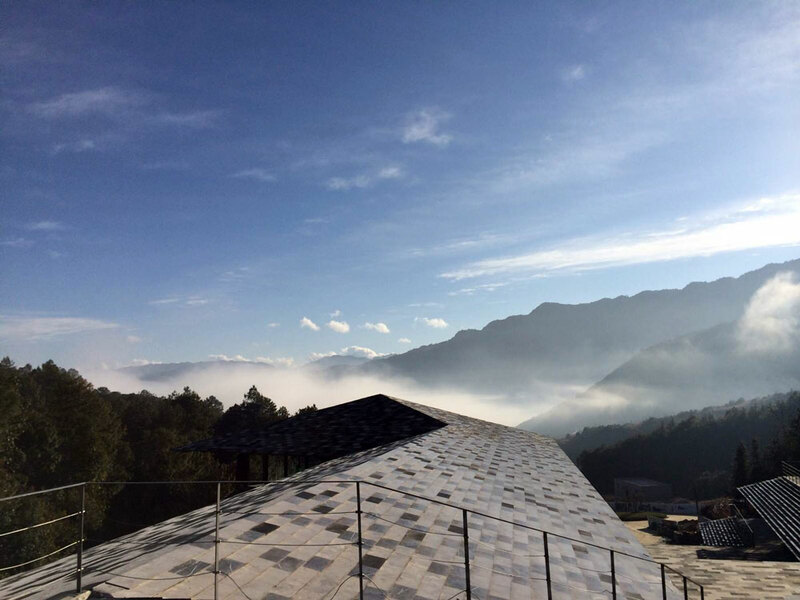 With fog and clouds always linger around it, the mountain is named Yunfeng (cloud peak), a typical granite scenery. Yunfeng is famous for its high mountains, deep valleys and steep cliffs. The 1,000-step stair with three turns leads to the summit. At the steepest part, stairs are nearly vertical with deep valleys on both sides, dizzy and striking. Therefore, in order to get through, tourists have to grasp a chain and put their faces to the cliff. The Yunfeng Temple is on a summit as small as 2 mu, with architectures of the Ming dynasty, including the Yuhuang Pavilion, Laojun hall, Avalokitesvara Hall and so on.